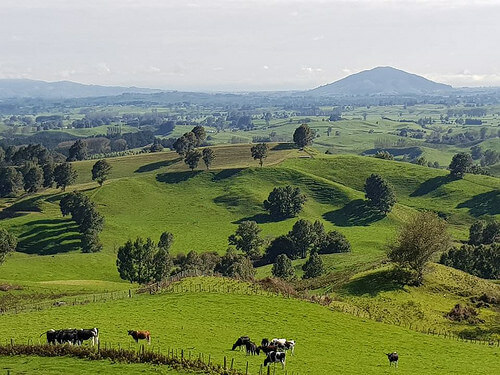 New Zealand trip cost – What’s included in the price? The first questions travellers ask is what does a New Zealand trip cost? Now before we answer this, we need to ask some questions back! As the saying goes, ‘how long is a piece of string’? It’s terribly important to understand the key components of a travel itinerary. So before we get the ball rolling, we first have to ask some major questions. “When are your travel dates? What standard or accommodation to you want? What size rental car did you have in mind? Or, what tours do you want to have included? The most helpful question of all is, “what do you want to spend for your trip?” But for some reason, most people struggle to answer this question. Travellers often make the mistake of dismissing a great experience because it looks too expensive. What they don’t understand, is that some of these amazing experiences have a lot of inclusions. They actually offer terrific value for your money! Let’s take a family farm stay as an example. Usually, you’ll get breakfast, dinner plus a farm tour included in the total price. This makes a lot of sense, as farm stay properties are located in rural areas away from urban services. You’ll definitely get far better value than you would in say Hotel Average’ – with zero inclusions. Now the kids will a pretty neat New Zealand farm experience. And the ultimate reward is that your kids will never forget hand-feeding baby lambs and watching those clever sheepdogs at work. There’s about an $60 per person difference between joining a Milford Sound day tour with Trips and Tramps (12 person) or a larger operators (50 person). The more personalized guide will take more stops. You’ll also get informative nature walks along the way and this adds value. If you’re really into nature and hiking, you can also add a guided day tour walk on the famous Milford Track. This includes a return water taxi ride as well as the afternoon cruise in the fjord. This is an nature experience you’ll remember for the rest of your life! If you’re after the personalized service by the local hosts in the area, consider using boutique accommodation. You’ll always get a totally different experience than staying in a ‘brand’ hotel. 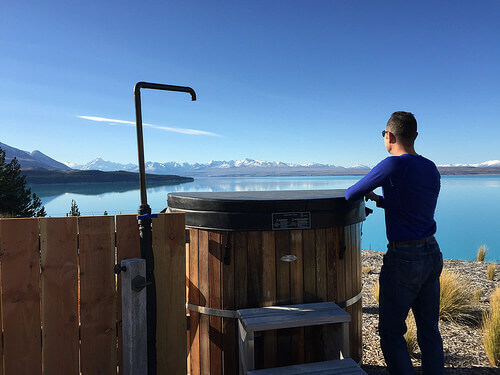 In New Zealand, boutique accommodation are often located in the most beautiful scenic spots, away from the crowds. Think about acres of olive trees, vineyards, lakes and beaches. Who wouldn’t love waking up to those sights! New Zealand boutique hosts are very interesting people. Many of them have a tremendous amount of overseas experience in hospitality. In their former lives they may have been artists or fly-fishing experts with a trusty 4-wheel drive at your disposal. Many are fabulous gourmet chefs – don’t forget, this is all included in the price folks! So rather than waking up to the sound of hotel attendants cleaning the room next door, you’ll hear the sound of bellbirds and Tuis. Then you’ll sit at an elegant breakfast table with views to die for. What better way to start a busy day exploring New Zealand! We totally get that smaller group tours cost a little more – but wouldn’t you prefer to see the special and sometimes hidden spots, that you’d miss with mass tourism? Some great sample are: Abel Tasman Eco Tour or Hairy Feet Hobbiton Tours. (a) Is hotel pickup included? (c) What is the ratio between guide and passengers? (d) how much time is being wasted with 50 people moving in and out of the bus? Remember, you may never visit this country again (although we hope you do). You won’t remember what you paid, but you will remember the experience. Are you convinced? Oh my goodness…we could not agree with you more !! How many times do we know how people focus solely on the $$. But, this is today’s society…sadly, it has become focus on price first. Let’s do a little experiment…In your article [a product!] above, if you had the price first, (and it was somewhat over and above the average price of a competitor) how many people would continue reading right to the very end to see how you have justified your asking price? (I would say very few)! This is unfortunately what happens. It’s a vicious circle; Higher prices are a put-off (but are usually) indicative to products which are of a more unique nature, but these products have things which like to be justified, but are not [always] seen, because people stop at the price! People need to realise there IS a “justification” for things like: a resident-*born* guide over an immigrant guide…a tour which has “local” (only!) policies over one which trips around all over the place…a business which is committed to doing carbon offset over one that isn’t…a tour which provides unique experiences over one which takes people to Public places…a tour which includes a gourmet [and sit-down] lunch (with beverage!) over a tour where you either buy-your-own, or get a $5 sandwich to eat in the bus you have been travelling all day. But without [screaming] down the internet, it is becoming a very difficult thing to do! Hey Donna, thanks for your feedback and taking the time to write it. Heartening to know there are other like-minded individuals out there. Let’s keep up the good fight with promoting a quality experience for our valued travellers!